An aerial view on Sochi Olympic Park (Coastal Cluster). The whole area on the sea-side was redeveloped for hosting Winter Olympics. 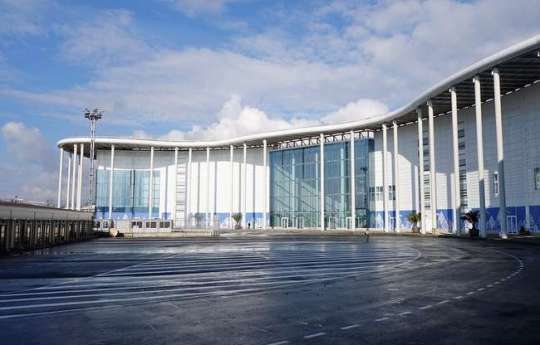 The Iceberg Skating Palace is the 12,000-seat multi-purpose arena opened at the Coastal Cluster of the Olympic Park in 2012. The Adler Arena Skating Center is an 8,000-seat speed skating oval in the Olympic Park, opened in 2012. The center will host the speed skating events at the 2014 Winter Olympics. 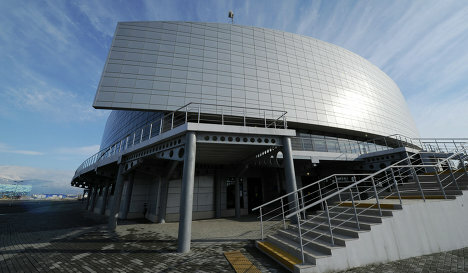 After the Olympics, it will be turned into an exhibition center. The FISHT Olympic Stadium (capacity 40000 people) will provide a seaside setting for the Opening and Closing Ceremonies of the 2014 Winter Olympics and Paralympics. 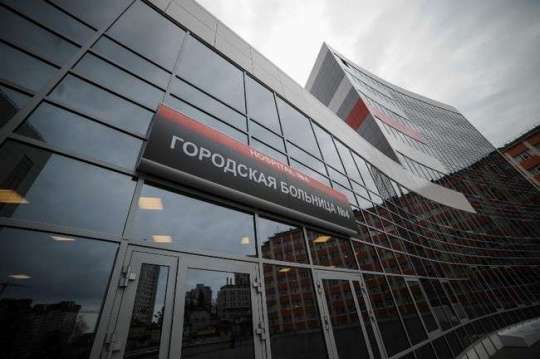 It will also host several matches of the 2018 FIFA World Cup. 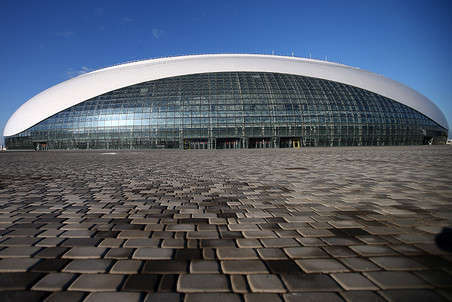 The Bolshoy Ice Dome is a 12,000-seat multi-purpose arena that was opened in 2012. 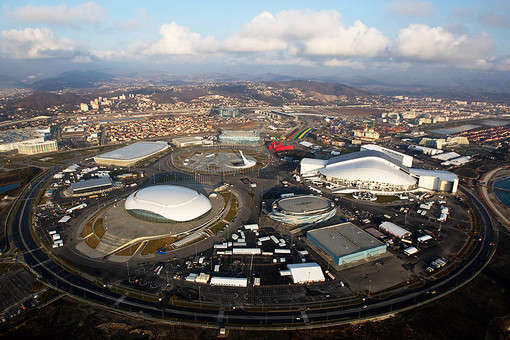 It will host some of the ice hockey events at the 2014 Winter Olympics and will serve as a sports arena and concert venue afterwards. 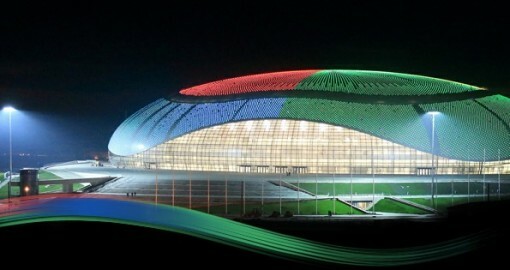 The Shayba Arena is a 7,000-seat multi-purpose arena in the Olympic Park built in 2013. 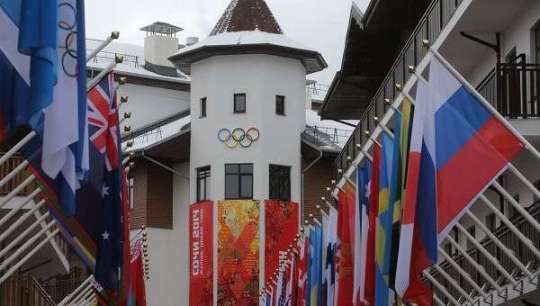 The venue will host the ice sledge hockey events during the 2014 Winter Paralympics, and some of the ice hockey events during 2014 Winter Olympics. 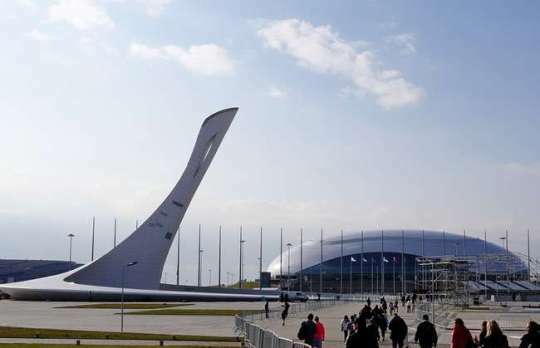 After the Games it will be dismantled and transported to another Russian city. 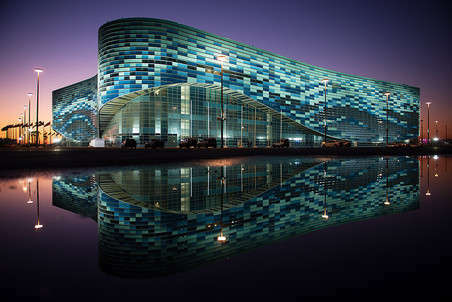 The Ice Cube Curling Center is a 3,000-seat multi-purpose arena in Sochi, Russia, that opened in 2012. 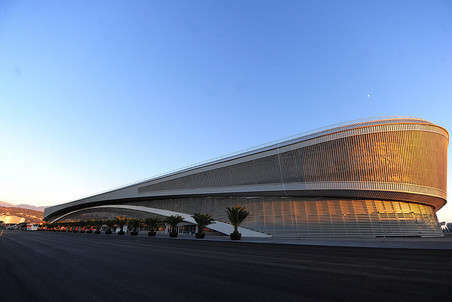 It will host all the curling events at the 2014 Winter Olympics and the wheelchair curling events at the 2014 Winter Paralympics. The International Press Centre at the Coastal Cluster in the Olympic Park, Sochi. Built in 2013. 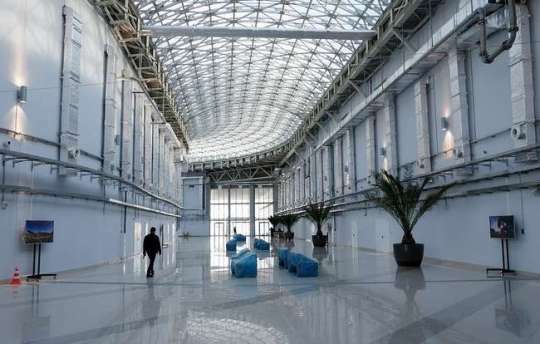 The interior of the International Press Centre, Olympic Park, Sochi. The Media Hotel at the Olympic Park (Coastal Cluster), Sochi. 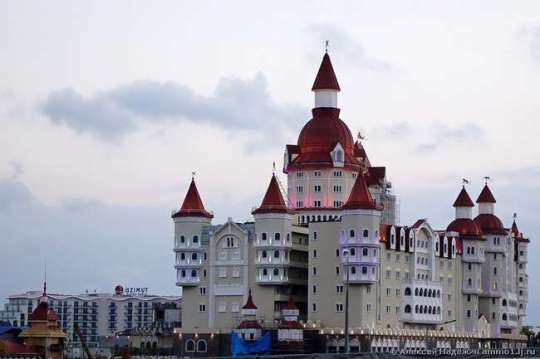 A castle-style hotel in the Olympic Park, Sochi. A view on the Olympic flame spot at the central square of the Park, Sochi. 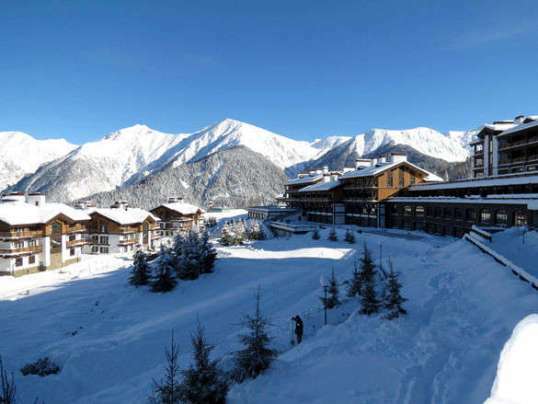 Three Olympic Villages were opened on January 30, 2014 at the Coastal and Mountain Clusters of the Olympic Park. Photo: New Olympic Village at the Coastal Cluster, Sochi. 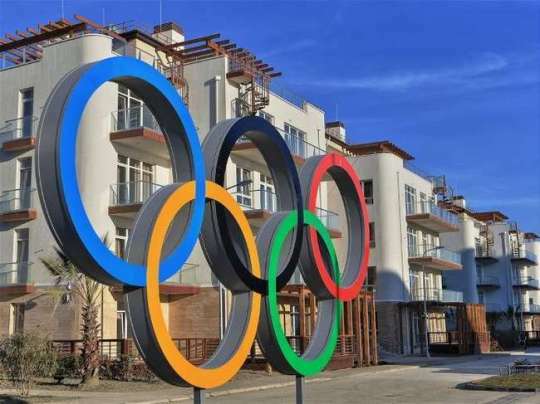 The Olympic Village at the Mountain Cluster, Sochi. 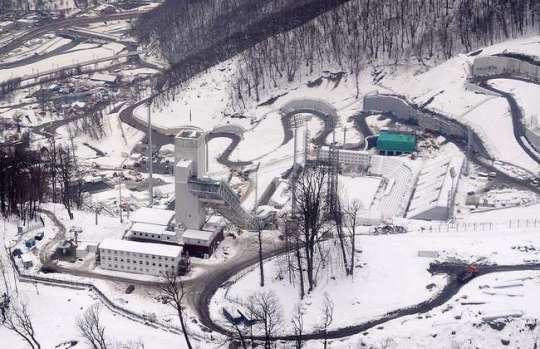 An aerial view on the RusSki Gorki Jumping Center and other facilities of the Mountain Cluster. 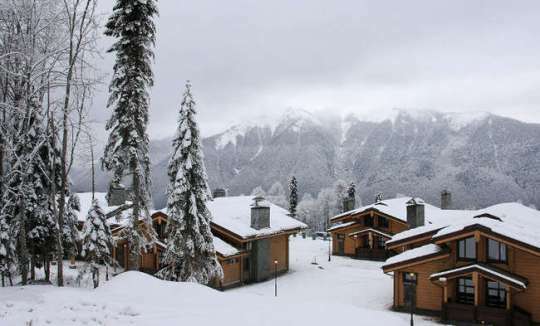 Independent cottages at the Mountain Olympic Village, Sochi. 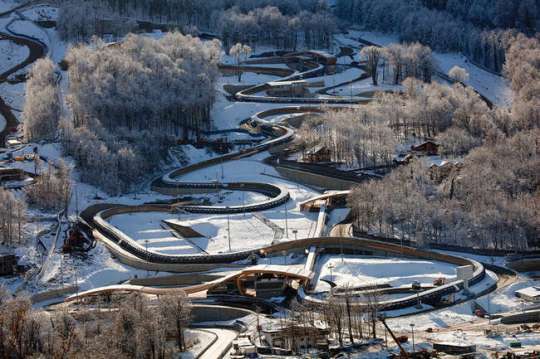 The Sliding Center Sanki is a bobsleigh, luge, and skeleton track located in Krasnaya Polyana (Mountain Cluster), Sochi. The first top-quality track of the kind in Russia, opened in 2012. The hotels of the Mountain Cluster built in 2013. 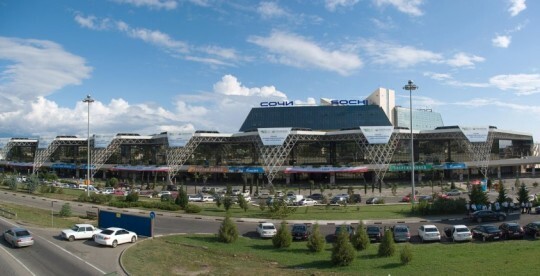 The new Sochi International airport opened in 2010. 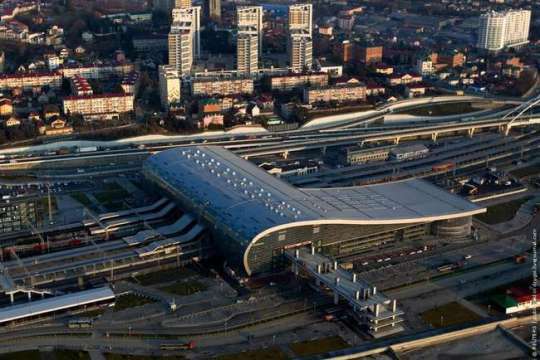 The completely redesigned railway station in Sochi. The new high-speed railway connecting Coastal and Mountain Clusters. 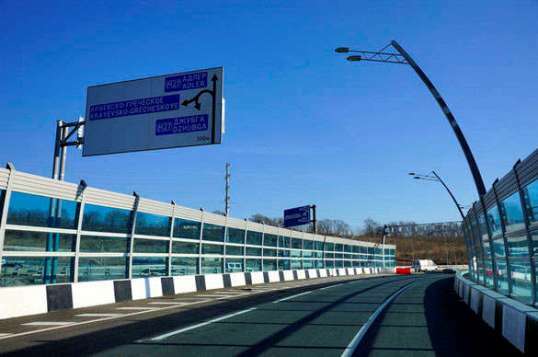 A number of new highways were built ahead of Olympics to facilitate traffic in Sochi. 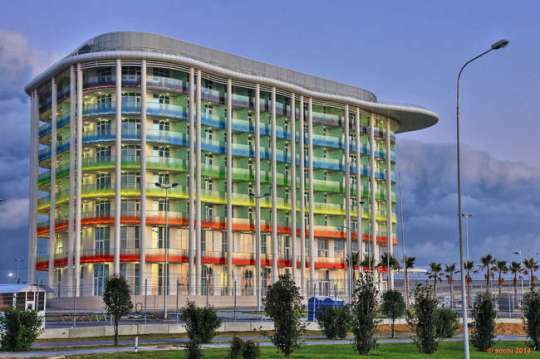 The new hospital complex in Sochi, designed especially for the Games. 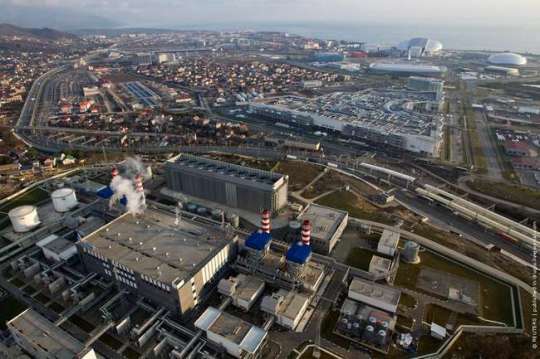 The Adler thermal electric power station for the energy supply of the Olympic Sochi and the whole resort after the Games. 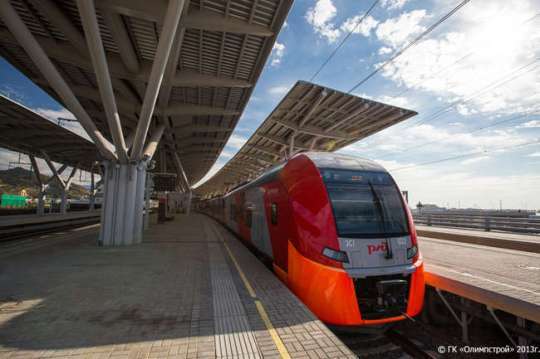 The total power capacity in Bigger Sochi region was increased in three times in recent years. Dozens of other infrastructural projects in Sochi like water percolation systems, hi-speed fiber-optical channels, new gas pipelines. etc.,, necessary for the development of the area, are not presented in this photo report.